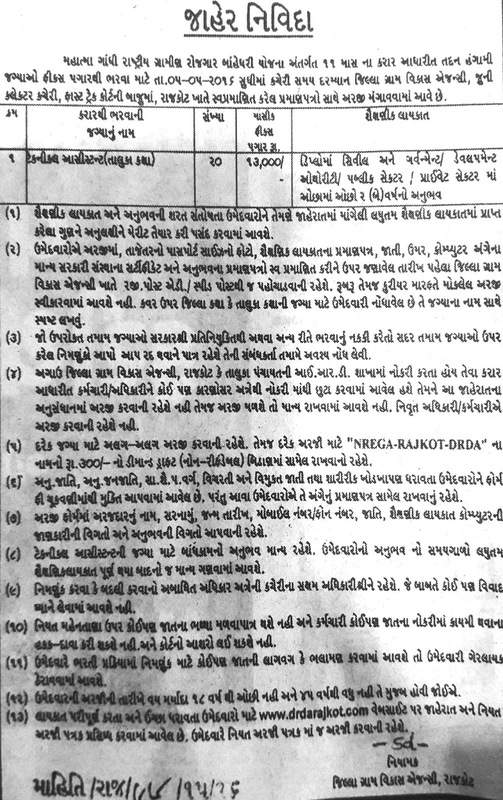 DRDA Rajkot has published a Advertisement for below mentioned Posts 2016. Other details like age limit, educational qualification, selection process, application fee and how to apply are given below. Salary : Rs. 13000/- per month.